Primitive mental state-that is what I strongly prefer to say when my students tell me that their patient, or their patient’s mother has “Borderline Personality Disorder.” My reasons are many, which begin with I find this diagnosis misogynistic, given to women who exhibit colorful or spirited emotional responses to stress, thereby imposing a judgment in which emotional reactions are somehow pathological. I accept that women and men, as a general rule, express themselves differently, but to say that a woman who describes dark moments in her feelings a “borderline” is to inhibit the facilitation of emotional expression. Second, I find this diagnosis a way of saying that the doctor does not like the patient, and finds the patient’s emotional experience objectionable. It is as if the doctor perceives the patient in a compassionate way, then the doctor diagnoses Major Depression, but if the doctor starts to feel uncomfortable with a patient, then he/she is more likely to throw the personality disorder label on the patient. 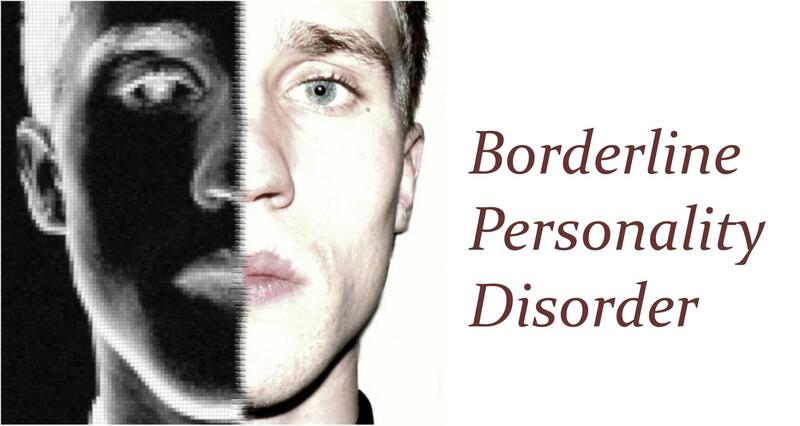 Third, the terminology “Borderline Personality Disorder” does not convey the process in which the personality needs help. I prefer the developmental model of personality in which some of us fail to develop, or we develop and then we regress to more primitive expressions of our feelings which often involve rage and bodily and/or property destruction. If we were to use the term “primitive mental state” then we convey a certain hopefulness, that with all states of mind, they are fluid and subject to maturity and emotional growth, whereas “Borderline Personality Disorder” implies a life-long struggle which borders, pun intended, on hopelessness. My students, taught this diagnostic system, are almost always taken aback by my objection to our language, which shapes our thinking, and hence our interventions. The advantage of a big institution, like UCLA, for example, is that students are exposed to multiple ways of approaching this complicated organ, we refer to as the brain. This seems to give little comfort, when I encourage them to challenge their rock stars. Students, like patients, have a transference to their teachers, and so learning new information, in such an intimate setting, is not an emotionally neutral experience, but rather it is an experience filled with identifications and defensiveness. Therein lies my challenge. I need to work with both the conscious and unconscious aspects of my student’s brain, while at the same time, not go too deeply into their own personal dynamics. Like psychotherapy, this is a delicate dance, which most of the time goes well, but occasionally I need to be mindful, not only the layers in treatment, but the layers in teaching as well. Primitive mental state, that is what I want to call “Borderline Personality Disorder”. The name is pejorative, misogynistic, and used to describe a patient with a valence of hopelessness. Plus, as per the description above, many of the “characteristics” describe immaturity, and so most “Borderlines” tend to grow out of it. I would say that psychiatry has lost its way, as I often say, but in this case, this diagnosis has been around for many decades and I have always found it objectionable. Is Laura “Borderline?” I would not say that. I would say that Laura is immature. She has failed to grow up and develop independence from her parents and her own power over her world. She has failed, so far, in obtaining a partnership which she experiences as fulfilling. To the extent that she is aware of her failings, she is angry and she turns that anger outwards towards those closest to her. Psychotherapy can help her focus on her need to make her mark in the world; her need to find work and love, as Freud would say. With these forward movements, her anger will subside and she will be “cured” of her personality disorder, which is to say that her developmental arrest would have been addressed, allowing her to grow, develop and thrive in her world. To label Laura a “Borderline” is to cast a long shadow over her future. To say she is exhibiting a “Primitive Mental State” is to describe the current situation, without forecasting her future. In essence, my forefathers (since they were mostly men in those days) set us up to describe mental states as if we can see the future, when in fact, we are looking at a stunted development which can be set straight. To see the “Primitive Mental State” in developmental terms allows for great hope in the ability to access the genetically determined push towards independence and self-empowerment. To say that the patient is “borderline” is to say that their behavior is so unsavory, few people want to get close. The label matters. My rant continues.